I’ll get back to the Bad Apple post but this is worth publicizing (noticed it on Michael Siegel’s Rest of the Story). The citation is Adkison SE, et al. Electronic Nicotine Delivery Systems: International Tobacco Control Four-Country Survey. Am J Prev Med. March, 2013 (article here). If you go to the article and take a look at Table 1 (awareness and use of e-cigarettes among smokers) you will see how smokers are faring in countries where e-cigarettes are essentially banned (Canada and Australia). While the awareness of e-cigarettes was substantially lower in Canada, the real difference comes in how many smokers actually tried them (roughly half compared to America). The real killer (and it is unfortunate that that does really describe the end result) is that the percentage of Canadians who tried vaping and then became users is about the same as the percentage of Americans. In other words, it is equally attractive and effective for users in both countries but in Canada the current restrictions (not surprisingly) lessen the number of how many smokers know about e-cigarettes and thus how many try them and how many will switch from smoking. Thus current policy serves to maintain higher national smoking numbers than would naturally occur. And by naturally I mean if e-cigarettes were as available as cigarettes. There is a lot more meat to chew over in the article and I do encourage everyone to read it over. The one sour note I find on a cursory first scan through is the final line of the conclusion: “If credible evidence can be provided that ENDS reduces the number of cigarette smokers and does not attract use among nonsmokers, then the net public health effect is likely to be positive”. Its been quite clear for some time that the level of risk associated with vaping is so much lower than that with smoking that if everyone vaped rather than anyone smoke the net public health effect would be overwhelmingly positive. Today I departed from my usual practice of fiercely avoiding any “science by committee” setting or engaging with government overlord-types, and gave some testimony at the Center for Tobacco Products TPSAC meeting. Greg Conley and Bill Godshall talked me into make the trip as an advisor to the tobacco harm reduction advocacy group CASAA. It was worth it — there were several great presentations by harm reduction advocates in the “citizen comments” that our public mastersservants grudgingly allow because they have to. Greg recruited several people who had quit smoking by switching to low-risk products, and there were great THR presentations also by Greg, Bill, Elaine Keller, Jeff Stier, Gil Ross, and others. I was pretty pleased with mine too, given that I wrote it while sitting through the talks earlier in the day (something to do during the tedious and pointless presentations by the well-paid consultants and others who were invited to speak by the hosts). To appreciate my talk, I need to offer some background (which kind of spoils the freshness, I know, so if you are familiar with all this, you might want to skip right to the text of my talk). Background for those who know nothing about CTP etc. : The US FDA was fairly recently given authority over tobacco products. The unit that formed is dominated by dedicated anti-tobacco extremists who are opposed to harm reduction, and its external scientific advisory group (TPSAC) is stacked with extremists and junk scientists, and contains no harm reduction experts even though most of their role is to evaluate harm reduction products. There is a serious threat that FDA will substantially restrict, one way or another, low-risk alternatives to cigarettes. They are particularly notorious for playing the chemophobia game, obsessing (or pretending to obsess) about detectable chemicals in products, implying that these have health effects even though the evidence about actually effects suggests otherwise. No doubt they are annoyed about having to deal with public comments, because (in a complete perversion of the term) they consider the stakeholders to be the busybody activist groups and not include the actual primary stakeholders, the product users. Public comments also are a challenge to their preferred way of dealing with information they do not like, which is to declare it to not exist and claim we do not really have any information (they still do that, of course, but they probably momentarily feel worried that someone is going to realize they are bullshitting). Indeed, the defining characteristic of this whole process seems to be to pretend that evidence about THR does not exist, because it is not exactly the “right” form of evidence, or is not collected by the “right” people, or whatever. That is the same old game used by the anti-harm-reduction extremists for a decade, but now it is official government policy. In yesterday’s session, the committee had been offered a lesson in the Swedish experience, about how smokeless tobacco use had caused the world’s best reduction in smoking and had been shown to have trivial health risks. They then tried to make up every possible reason about why that is not a good reason to encourage (i.e., allow) the marketing of new smokeless products in the US — because that is just not the same thing, so we really have no idea whether something similar could happen. Oh, and there was a trumped-up obsession with how children might get poisoned by these products (never mind that it had never happened, or the question of why they should be worse than existing pharma products that are almost exactly the same but much easier to unpackage, or other medicines) and resulting tangents about safe packaging. If an impressionable young mind stumbled across how science is often portrayed in this corner of our nation’s government, he would be at risk of never becoming scientifically literate, let alone to wanting to be a scientist. -and he would be taught that science it is not about identifying how we maximize our knowledge, but that it is involves declaring that we just do not know anything, when in fact we know quite a lot. Our impressionable young mind is not going to think very highly of science, and he might reasonably conclude that the best way to get involved America’s version of science is to go to law school. 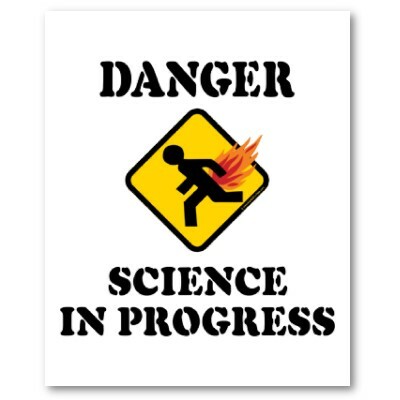 And, yes, that means that misguided ways of looking at science may be a gateway to more dangerous behaviors. Second, this poor child would get the impression that a hypothetical cardiovascular condition or cancer 40 years from now will be just as harmful as a near-term case in a current smoker, a case that was caused because smokers are discouraged from switching to low-risk alternatives. Do we really want to tell that child that we expect so little of him, that his generation’s health science will be so lousy that the 40-year-out cancer will be no more treatable that it would be today? Finally, at the very least, I would urge this committee and Center to make sure that any such anti-scientific writing is kept in child-proof packaging, rather that being left laying around on the internet where anyone could stumble across it and damage their developing minds. In case you are wondering, still more background re that third bullett (explaining the joke does not make it funny, but it can clarify): The “manipulating children” refers to the the Indiana Health Department who presented there and are the darling of the anti-tobacco extremist nutcase faction; their infamous “study” consisted of assembling some children, mixing dissolvable tobacco products (which the children had never seen or heard of before) in with some candies, and asking the children what they thought they were looking at. Obviously, they “discovered” that the kids thought the dissolvables were candies like the other items they were presented with. This is what passes for evidence for these people. I suspect it would be possible to convince the kids that the dissolvables were cats if you worked at it. The “anecdotes” point refers to someone who presented statistics about thousands of tobacco poisonings which were meant to imply that dissolvable products were dangerous, but in fact showed the poisonings were from other products. Perhaps realizing how worthless her data was, she threw in a single story about a mild poisoning that might have possibly maybe been the result of dissolvables that someone had unpackaged and left around, maybe. 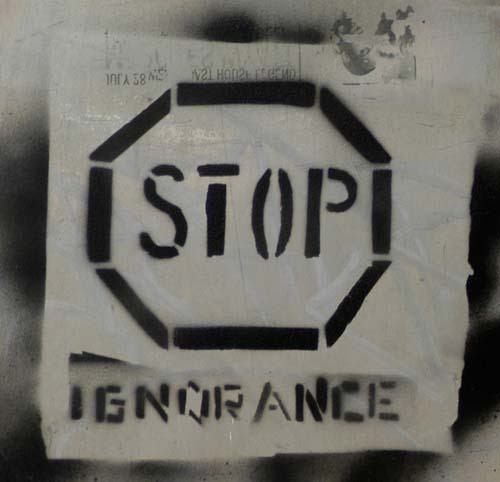 The “unsupported assertions” referred to a really stupid report presented by someone from RTI (for which they probably got paid a fortune of our government’s money) reviewing some of the studies on the topic; the report highlighted whatever random conclusions the authors asserted, regardless of the fact that most were unrelated to the evidence reported in the study. In other words, they did work at the level of a bad MPH student (which I suspect is exactly what most of the researchers were). The “limiting reviews” referred to that RTI report, in which they every-so-conveniently had reasons to not include all papers not written by opponents of harm reduction, as well as similar behavior in all the other reviews of the day. Unlike some of the other presenters, I did not get any questions from the committee. What could they say? The one question/comment I thought might come was something like “do you think this committee is some kind of joke”. I was prepared with an answer — “well, if you really cannot understand the seriousness of what I was communicating, then, I guess the answer is yes”. Alas, no one asked the question. Oh, and no one has ever paid me for my work doing history and philosophy of science like this. And CASAA paid the two-figure cost of me coming here. I am guessing that they had no idea that I was ridiculing their conflict of interest obsession. The meeting was painful, but it is good to be reminded sometimes: I generally know with how little wisdom the world is governed, but sometimes it is useful to remind myself of some of the details. It was just so absurd. The committee would ask presenters questions the presenter could not answer but which (a) everyone on the committee should have already known and (b) someone in the audience was clearly the top expert on. But we peons in the audience were not asked to solve the conundrum, because science-by-committee does not allow for stepping outside the box (or in this case, beyond the plastic chain with “no one past this point” signs that separated the audience — I am not kidding). Several of the answers were in Bill’s submission, but they could not be bothered with looking at that. My favorite was when the committee was asking about some details of what one company had reported and the speaker was not sure; representatives of that company who undoubtedly knew the answer were sitting in the room, and no doubt some or all of the committee knew that, but the people up front went around and around without being able to figure out the answer rather than actually doing the research (asking) needed. This kind of consultation among the privileged ignorant, which never actually seeks data, passed for scientific inquiry in the Dark Ages. But dark ages never really die. They just take refuge in government and religious institutions. So try not to think too much about the children — it is just too damn depressing. Thanks to Bill Godshall, we can give you the links to some of the statements made at the Scientific Standards for Studies on Reduced Risk Tobacco Products meeting to advise the FDA on the minimum standards for scientific studies to allow the marketing of modified risk tobacco products, and for post-market studies of marketed products. I also suggest that we consider redefining our terms about the spectrum of products in the market place. Calling any tobacco product that is a not burned a ‘smokeless product’ is no longer accurate or even useful. I prefer to use the term Smoking Replacement Product or SRP because that allows us to look at the growing spectrum of noncombustible products (tobacco, nicotine, and alternatives) in terms of risks and relative risks and intended use, and to label and set marketing standards for such products based on those risks. Requiring additional scientific studies before a company can make these types of modified risk or reduced exposure claims would be a “truth tax” for far less hazardous smokefree alternatives, would unfairly protect cigarettes from market competition by lower risk alternatives, and would threaten instead of improve public health. We were astonished and outraged to learn that, decades before the invention of electronic cigarettes, we could have stopped inflicting smoke-related damage to our bodies without becoming nicotine-abstinent. We were deceived about the relative safety of non-combusted tobacco products. The government and so-called public health organizations misapplied the word “safe” in the messages, “This product is not a safe alternative to smoking” and “There is no safe form of tobacco.” Most folks think they’re saying there is no safer form of tobacco than smoking. These messages encouraged smokers who did not want to give up nicotine to keep inhaling smoke, when they could have switched to products that reduce smoking-related disease risks by up to 99%! Their half-truths have killed millions of smokers and continue to do so today. New research is being reported out of the Scripps Research Institute on how nicotine works in the brain of mice. We’ll assume for the sake of argument that this parallels how it works in humans. Scientists from the Florida campus of The Scripps Research Institute have identified a pathway in the brain that regulates an individual’s vulnerability to the addictive properties of nicotine. The findings suggest a new target for anti-smoking therapies. They hope to find a drug that will help smokers attack the addiction in an entirely new way. They are hoping to find a way to make smokers have a bad reaction to a cigarette and be slightly disgusted by it. They are hoping the drug will take all of the pleasure out of smoking, and thus, stop the urge to smoke. The National Institute of drug abuse gave Scripps an 8 point 2 million dollar grant to develop drugs to literally kill the nicotine buzz. Scientists say when someone first starts smoking, there is a natural nasty feeling that goes away as people smoke more often. The grant gives scientists five years to develop drugs and Scripps is confident they will be able to develop a handful of pills that will finally get people to quit. Now, that’s some fine writing! But it did convey the little item about the substantial multimillion dollar grant to develop another smoking cessation tool. In a forthcoming post I’m going to address the point of how useful yet another of these quit smoking approaches might be given that we now have so many many alternatives that almost entirely remove the risk associated with using nicotine. At the least, these alternatives (such as smokeless tobacco or electronic cigarettes) reduce the health risks to the degree that in the long run there is little to distinguish use from abstention. But in the meanwhile…. The first question I have about this research is whether the currently dominant view of nicotine as a scourge is skewing the interpretation of their findings. How do we not know that this so called malfunction might in fact be a useful adaptation? If someone’s brain functions better on nicotine then wouldn’t it make sense that there would a compensating mechanism of allowing in the very thing that improves function? “It has beneficial effects on anxiety and attention, among other things, thus making quitting very difficult”. In other words, we have to work exceptionally hard to create just the right intervention to help you successfully wean yourself from something that is actually making your life better. People use and quit drugs for many reasons. There are people who feel they need to quit caffiene. Not because they are suffering in any way but they don’t like the feeling of being in thrall to the drug. Though the occasional article surfaces about the potential negative effects of caffeine use few people end up thinking it is all that bad for you. But there are and always will be people obsessed with quitting it. And no matter how safe nicotine delivery becomes, and if you get away from smoking it, it is right in that caffeine ballpark right now, there will always be people obsessed with quitting it as well. Now, the question is this. What would you think if NIDA granted a company 9 million dollars to develop a pill that you could take to make your morning cup of coffee cause you to chunder? In today’s Huffington Post, there was yet another, and not particularly good, article on that new research report (abstract here) that smoking in the movies causes ex-smokers to want to smoke again. I guess it takes a brain scientist to definitively state that seeing something makes someone who likes or liked to do that same thing want to do it (though I am not sure how they can separate fond memory from actual desire to do it again, and how they deal with that very iffy connection between contemplating an action and actually carrying it out). At least the abstract did not conclude with any calls to action though you can be certain that just about everybody reporting on this saw it as more evidence to support banning smoking in the movies. There is no question that we are in some way affected by what we see but the world is too large and image sources too varied to think that the best way to deal with a risky health behavior is to remove all images or references to it. (You can bet that if the Californians have their way and all smoking references are expunged from movies (because this one is not about the kids so all of cinema is in peril now) and that when they find that some people still weirdly persist in smoking, they will not for even a second think they had it wrong but that people must be being compelled by the rest of the media and what will need to be done is to move on next to expurgating the books and the art galleries. But it is nice to see the French exhibiting some common sense (that is, preserving the cultural record) in restoring Sartre’s airbrushed cigarette and leaving Jacques Tati’s inimitable trademark pipe alone. Look, leaving aside that we should really not be messing with widely accepted cultural modes of expression, whether smoking is up on the screen or not, people will continue to smoke. So instead of pursuing better health through (ineffective) Philistinism, and since it seems that already most movie dialogue that concerns smoking is quite negative, why not take a lesson from The Tourist in which Johnny Depp smokes e-cigarettes. If you think the monkey see – monkey do mechanism is so powerful, why not use it to get people to switch to safer nicotine use? In another example of not seeing the obvious, this Canadian article (which details the many reasons people smoke except they seem to have forgotten that some people actually enjoy it), along with this other one from the Spec.com asks that taxpayers should foot the bill to subsidize the underperforming cessation drug industry. After the usual bellyaching about the social costs of smoking, and what a good investment it would be to pay the drug companies so that smokers could afford their product, wouldn’t it be so much simpler to remove the ban on electronic cigarettes in this country and to let those who do not know that smokeless tobacco is a safer option (yet another good meta-review on that recently). Making e-cigarettes and smokeless tobacco available and competitively priced is the best way for cessation (or health) minded smokers to switch and it will not cost taxpayers a cent. In the most recent issue of Chemical Research in Toxicology, there is a new article with the daunting title of Immediate Consequences of Cigarette Smoking: Rapid Formation of Polycyclic Aromatic Hydrocarbon Diol Epoxides (abstract here). To summarize, 12 subjects each smoked a cigarette laced with a phenanthrene derivative which could be monitored for its subsequent route to illustrate the formation of mutagenic and carcinogenic epoxides which could arise from smoking. The epoxides were detected and it was concluded that there existed “immediate negative health consequences of smoking, which should serve as a major warning to anyone contemplating initiating tobacco use”. I do not dispute the findings themselves though I would not be surprised if you could come to the same apocalyptic conclusion if you carefully studied a single exposure to a campfire. What concerns me is that like the recent Surgeon General’s One Puff Can Kill You, this adds more, if you will forgive the phrase, fuel to the fire of treating exposures as an all or nothing issue rather than the more pragmatic approach of treating smoking and such activities as dose response. Anti-tobacco activists and researchers expend a lot of effort reducing this wildly varying practice known as smoking to an overly simplistic do or die scenario (or I guess in this case, do and die). This undermines tobacco harm reduction (when they exaggerate and otherwise misrepresent the harms of vastly safer alternatives) and also undermines their own cessation message because though quit or die seemed overly aggressive it pales beside the horrible spectre of quit and die (anyway). But to be absolutely clear, this is not just about Hecht and company delivering yet another counterproductive or disturbing message. It is easy enough for a determined researcher to find risk in almost any exposure. Productive work occurs when you consider and then manage risks within the context of typical use and typical consequences. Pediatrics cries wolf so often that it would be difficult to identify any real threats to child health within those pages. Not only do they construct visions of disaster out of little more than phone polls (that third hand smoke lunacy), generalize from ambiguous results (as will be elaborated on here) or just plain mislead (as in child poisonings from new nicotine products), this journal, as we have opined before, gives The Onion a good run for the money. For instance, where else would anyone take seriously the idea that paternal smoking around pregnant women could lead to subsequent obesity in the to-be-born children? Predominant breastfeeding for 6 months or longer was positively associated with academic achievement in children at 10 years of age. However, the effectiveness of breastfeeding differed according to gender; the benefits were only evident for boys. Notice that the result is just as much one of “predominant breastfeeding is not positively associated with academic achievement in girls”. I do not have access to the whole article so for all I know it actually negatively impacts females however the point is that a specific conclusion is being generalized without reason. It might be an interesting question as to why boys and not girls and the conclusion should have mentioned that. These findings imply that, beyond direct influences, the relationship between adolescents’ sensation seeking and parental R-rated movie restrictions in explaining smoking onset is bidirectional in nature. Finally, these findings highlight the relevance of motivating and supporting parents in limiting access to R-rated movies. We found that adolescents with lower levels of sensation seeking and those who reported R-rated movie restrictions were at lower risk for trying smoking. The results also revealed negative associations between adolescents’ levels of sensation seeking and later R-rated movie restrictions, which indicates that sensation-seeking adolescents are at higher risk for starting to smoke not only directly but also indirectly through changes in parenting. Sensation-seeking adolescents seem to inﬂuence their parents to become more indulgent regarding their movie viewing, which subsequently is related to higher risks for smoking. Now, forgive me if I am wrong but I do see this being reprinted in the Journal of Results So Obvious That Only a Fool Needing to Pad the CV Would Submit It. And the results are: kids who are curious about things are more likely to act on that curiosity than kids who are not, and they are also more likely to pester their parents, and those parents are more likely to give in than parents who had never been pestered. (If following form, the next Pediatrics article about smoking precursors should encourage parents to administer growth inhibitors since aging is probably the single greatest determiner for later smoking). But now, and I do apologize for going on and on about this, Pediatrics has turned its attention to caffeine consumption in youth. (I know, yes, these articles do not share the same authors but they do all get printed at this journal so I think it is not unfair to suggest that the journal is to blame, hence the title about changing diapers; the authors may provide the food but it is the journal that puts out the crap). In this case, the study is not quite as bad as the media reports that follow though the authors do flap their lips a little more loosely as well once in the spotlight. The study reported that the findings indicated either that caffeine consumption led to disrupted sleep patterns or that children consumed caffeine in response to not sleeping well the night before. They were not sure which way this went but it still led to concluding that caffeine should be restricted, not because it was harmful but on the basis that the beverages had “detectable pharmacologic effects”. It does not sound like a bad idea in general not to ply your kids with pots of coffee or coke but I really do not see the above as actually supporting that. “Parents should be aware of the potentially negative influence of caffeine on a child’s sleep quality and daily functioning,” Dr. Warzak asserts. And as we know, when you put in the word potentially anything after is quite true. We could potentially fall into the sun tomorrow. Absolutely true. Or more to the point: Pediatrics Journal could potentially tighten up their editorial policies. The journal has been around long enough to move on to potty training. Spilling nicotine: safety concern or clumsy researchers? It takes something quite spectacular to take my attention away from any of the research coming out of the Prue Talbot labs but I will have to save that for tomorrow or the next day (hint: it comes from an even more disreputable source -Pediatrics Journal- and it has to do with smoking and the movies). But today the Prue. There is no need to do any deep analysis of this research since it has been covered quite well already by the Old Rambler at StandFast, by Michael Siegel, and James over at Ashtray Blog. I just wish to add a few additional points. 1. As opposed to any good news about harm reduction, this half baked nonsense is being repeated from here to India by every news agency without any analysis of the content. 2. The researchers conclude on the basis of their concerns about the packaging and instructions that the product should be removed from the market. To go once again to our beloved seat belt analogy, if there was some substandard accompanying information packet with the seat belts or even the odd one that caused an allergic reaction let’s say, would it seem reasonable to take it off the market considering the alternative (driving without)? Once a product is off the market the greatest impetus for improvement has been removed. There is no assurance it will ever be let back in whereas in market there are customers to satisfy, and in general, products in the marketplace are redesigned to be more effective and safer over time. (This is really the secondary reason: of course the first is quite simply that removing it will result in the premature deaths of many citizens). 3. For some reason, people are taking more seriously the conclusions about the everyday workings of a product from people who are seeing it for the first time rather than the experience of hundreds of thousands who have already been using it for years. Anna Trtchounian and Prue Talbot seem to be spilling nicotine all over the place and extrapolate their own clumsiness to the world at large. Of course, if you already believe in third hand smoke, any leakage of nicotine, no matter how small, is a serious concern. However, if you are a normal human being, it really isn’t. This apparently horribly unsafe product is being used quite safely by the hordes, and might I add, much more safely than they could ever could use cigarettes. 4. This kind of research by those who remain quite alien to both the concepts of harm reduction in general (Prue labs discovering harm reduction cigarettes) or the product they are testing (once has a vision of the apes in 2001 touching the monolith and running away chattering and frightened) seems to be gaining in popularity. Not long ago we had Thomas Eissenberg saying there was not enough nicotine in e-cigarettes for the product to actually be satisfying. This is unfortunately quite consistent with tobacco and addiction research in general where anti-tobacco researchers and advocates have managed to convince the world that only addiction keeps people smoking (no one really enjoys it). And even more unfortunately, these few befuddled researchers in their labs, who are able to discount the world outside quite effectively, are having a disproportionate influence on that same world they dismiss. Breaking news out of the University of California labs: Harm Reduction Cigarettes Can Be More Harmful Than Conventional Brands, UC Riverside Researchers Report: Prue Talbot’s lab studied the effect of cigarette smoke on human embryonic stem cells. Perhaps when you are focussed on the minutia of determining the effects of tobacco smoke on embryonic stem cells you lose sight of the larger picture such as whether you are using the correct terminology when you are promoting your results. Head researcher Sabrina Lin, a graduate student at the lab, has been comparing the differences of those effects between regular and harm reduction cigarettes. I found this of great interest since I had not heard of harm reduction cigarettes before and thought perhaps it was some odd way of describing e-cigarettes. What it ended up being on closer examination is a term horribly misapplied to light and nicotine reduced cigarettes. It would behoove Lin, and her supervisor Talbot, to explore what the term harm reduction means before using it. Reduced nicotine does not qualify as harm reduced and neither do light cigarettes. Though there has always been ongoing research into developing a harm reduced product in the form of a conventional cigarette, to date there are few commercially available products that qualify as such; currently the only product that could be considered a harm reduction cigarette is the e-cigarette. So what this lab has done, and this may tell us something about how slapdash the guidelines are for getting research funding in tobacco research, is create a false dichotomy, and then finding no differences between the two categories (which were really always just one), call the non result a finding. It is as if they had taken two apples, called one an orange, found no differences, and then proclaimed that oranges were no better than apples. The damage done is that most people reading this will see it as confirmation that there is no hope for true tobacco harm reduction. It is bad enough when the safer alternatives are undermined by public health authorities and regulatory agencies but it is even worse when the safer products are castigated via research that has no possible application to the debate.